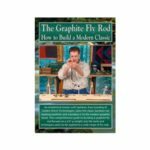 …of smoothing the road to your success in rodmaking, whether it be with Peak Bamboo fly rods, or any other rodmaking endeavor like graphite boat rods, fiberglass spinning rods or… you name it. Here are just a few great videos that can help you get started. Using the methods originally taught by Daryll Whitehead, then refined through years of custom and light production rodmaking in the Golden Witch rod shop, Russ Gooding and his team will guide you from selecting the raw culm to the finished blank. Broken into discrete steps, making bamboo blanks is a surprisingly straightforward process. This video focuses on blank making, not as a mechanical engineering exercise replete with arcane formulae, but as an accessible craft to which all anglers can aspire. Featurette: Blueing Ferrules – How To Blue & Clear Coat Nickel Silver Ferrules. 87 Min. VHS or DVD. Aesthetic decisions, fit, and finish define the quality of a split bamboo rod long before an angler tests its action over rising fish. An elegant rod is a harmonious composition, melding classic styling with components that hark back to the era of our forefathers: agate stripping guides, fine silk threads, cork, native wood, nickel silver, and natural oil & resin varnishes. Well finished, a bamboo rod looks good, feels good, and even smells good. Although each rodmaker will choose a different aesthetic, all rodmakers must master the details of fit and finish. Featurette: Ferrule Plugs—Turning Mastodon Ivory & Nickel Silver Ferrule Plugs. 90 Min. This unique film documents the transformation of bamboo from a hardy species of grass into a meticulously crafted split-cane fly rod. 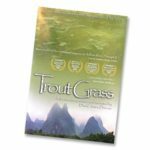 Shot on location in the lush forests of Southern China and the majestic rivers of Montana, Trout Grass captures the allure of craftsmanship and rivers as well as the notion that fishing is about much more than catching fish. Follow the journey of a remarkable plant from Chinese growers to Andy Royer (The Bamboo Broker) to master rod maker Glenn Brackett and, finally, to David James Duncan (The River Why, The Brothers K) and fly fishing legend Thomas McGuane (The Longest Silence, Ninety-two in the Shade). These two anglers reveal the magic of fishing with a fly rod made of grass and connecting with the order of rivers and flowing things. ONE-DISC DVD | NEARLY 48 MIN RUN TIME. Lyle Hand spends his retirement is the cozy quarters of his bamboo fly rod shop. From the bamboo culm to the finished bamboo fly rod, we see the methodical transformation from raw materials to meticulously crafted tool. If you’re new to bamboo rodmaking, this DVD is a great overview, and it’ll give you the foundation and motivation you need to get started. 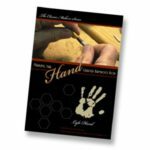 But, as with any master craftsman, Lyle Hand has devised a few ingenious methods of his own; even the most accomplished rodmakers will be captivated while learning new techniques.